EPISODE NINE WITH KARL HESS! 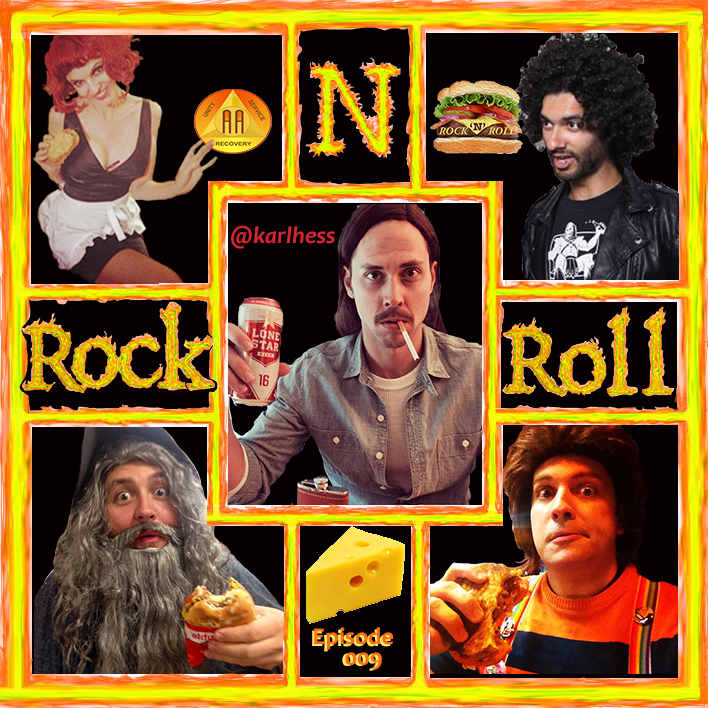 Rock N Roll Cheeseburger Episode Nine! Hilarious funnyman of comediocity Karl Hess kickflips into the burger dome for our election week special. We talk AA, Food Pictures, Unisex Names, and Day Drinking! Our sponsor this week is cheese. Yes, you read that correctly. *SPECIAL ELECTION WEEK SKETCH — our Town Hall Debate from the prestigious St. Capitalsburgh University and Dental University… what? Rock music with “I’m Just The Driver” from Black Map, and some fresh hip-hop with “Manym00ns” from Dex Amora. Rock, burger, jams, got ‘em!